Dee Weaver's Musings: Well this is no good, is it. I'm not doing very well keeping up with this blog, am I. The trouble is, I can't imagine anyone with half a brain would be interested in what I'm doing. So... what exactly am I doing? 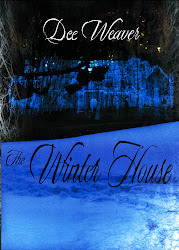 As far as writing goes, I'm waiting for some new cover ideas for The Winter House. I like the one on Amazon, but it's not up to a good enough standard to upload on Smashwords. Should get the new picture sorted tomorrow, and I have an ISBN for it now, so that should be sorted by this weekend, and The Winter House can be distributed to Barnes & Noble, Sony and Nook. In the meantime, I'm doing research on the Akashic Records. And indulging my obsession with William Marshal... shame he's been dead for nearly 800 years... could have had a thing going there.